The woolly mammoth (Mammuthus primigenius) is an extinct species of mammoth that lived during the Pleistocene epoch. 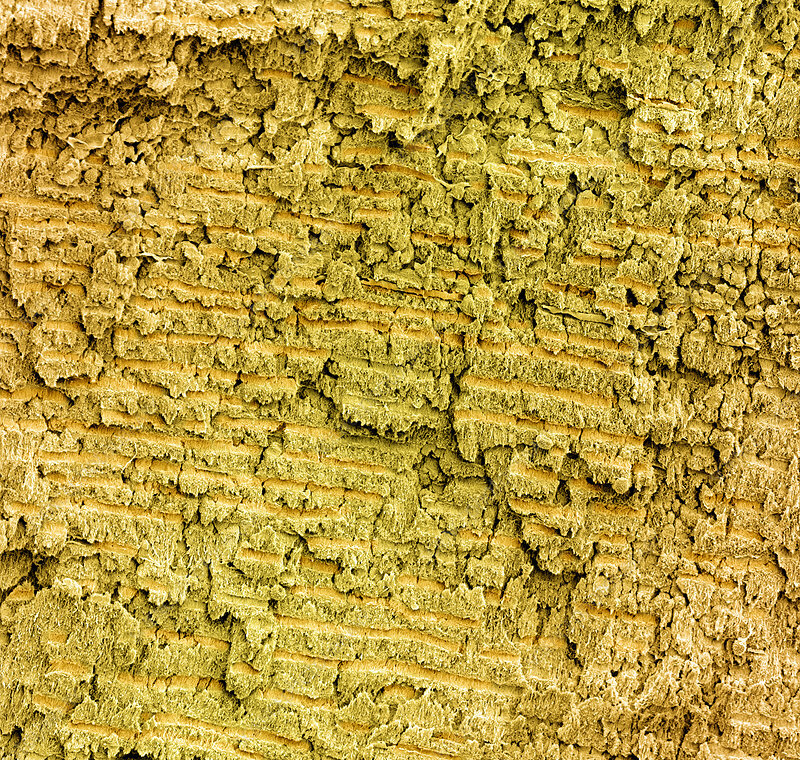 This is a section of a tusk imaged in a scanning electron microscope (SEM) and then colour enhanced. This ivory is a good substitute for Africa Ivory and is often used for jewellery. This specimen was collected from melting permafrost in Alaska. The field of view of this image is 186 um. The SEM magnification was 5,950x.